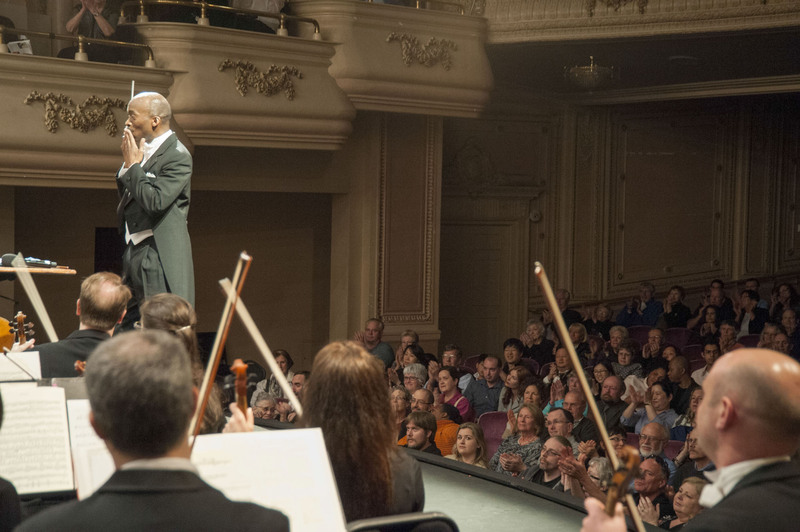 On May 10, Tacoma bid a fond farewell to Maestro Harvey Felder as he wrapped up his 20-year tenure as music director of the Tacoma Symphony Orchestra. 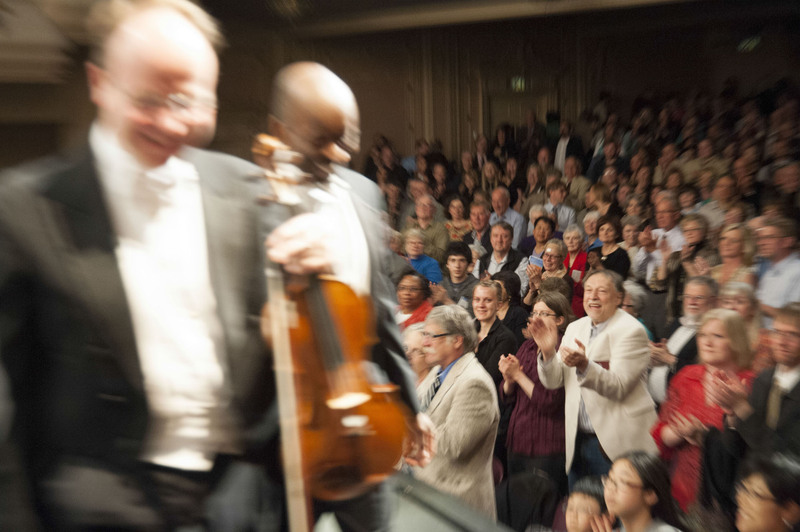 Photographer Dane Gregory Meyer captured Maestro Felder’s final concert in Tacoma through the following photo essay. 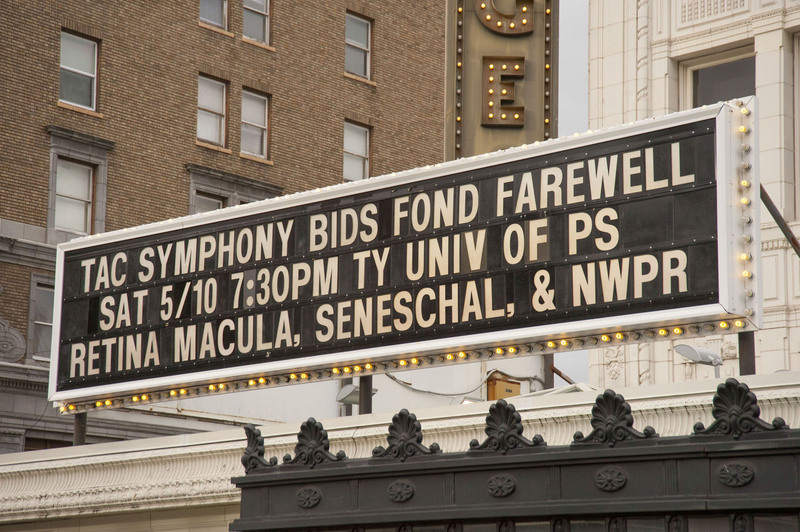 Marquee billing Tacoma Symphony Bids Fond Farewell to their Maestro of 20 years, Harvey Felder. 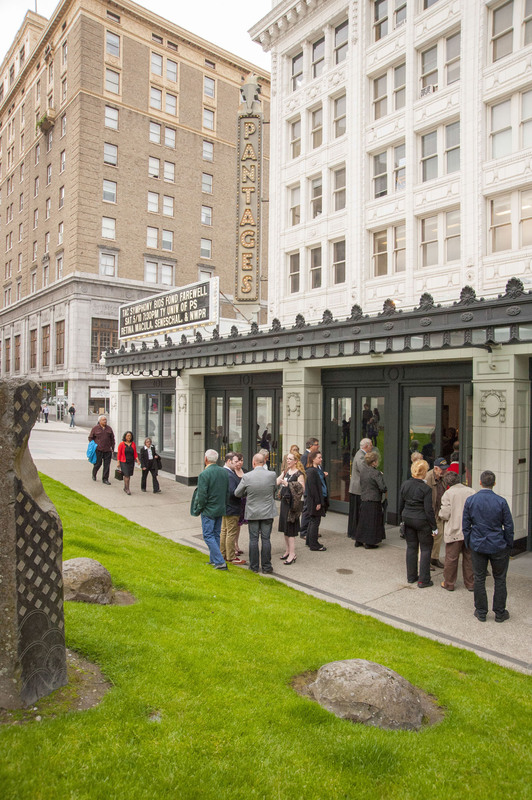 Patrons, including Mayor Marilyn Strickland, gather to enter the Pantages Theater. Mayor Marilyn Strickland reads the Proclamation naming May 6-12, 2014 as Harvey Felder Week. 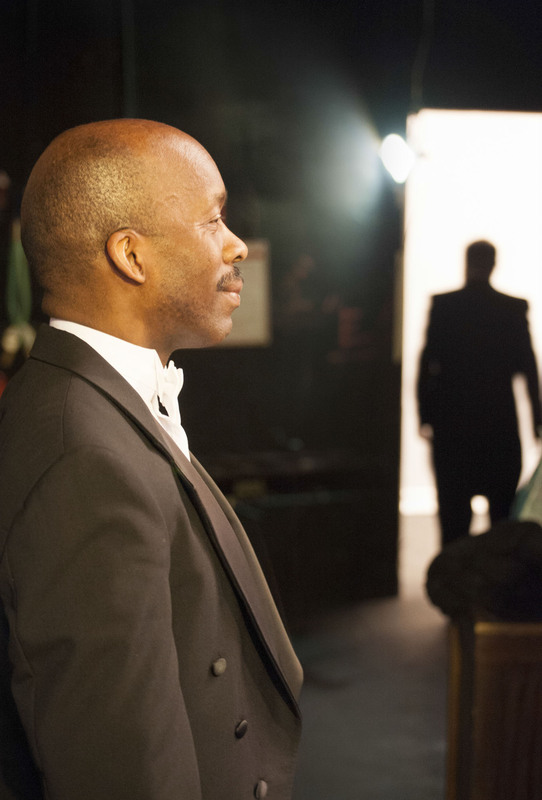 Maestro Felder quietly centers before taking stage, waiting his final conducting of the Tacoma Symphony Orchestra. 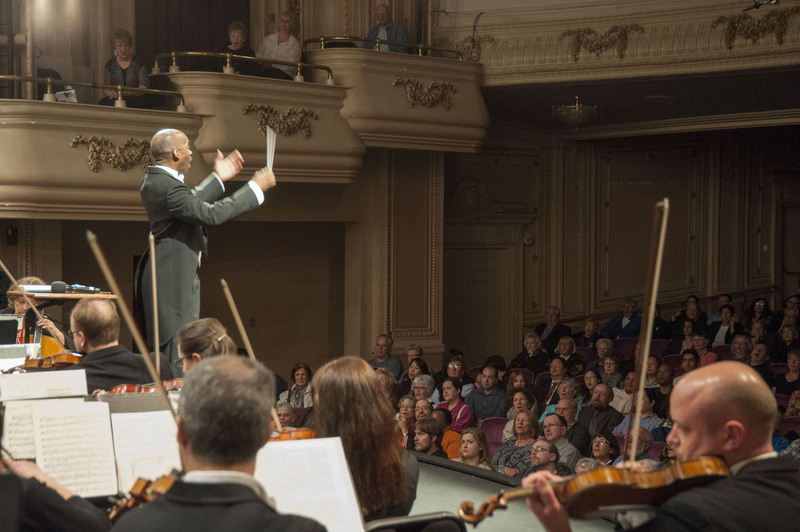 Maestro Felder addresses the audience. 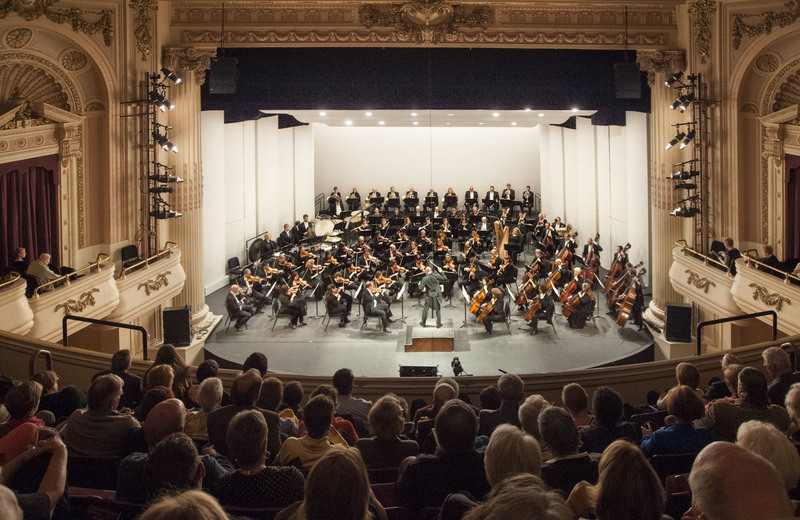 Tacoma Symphony Orchestra performs Mahler, Symphony #5. Completion of performance and first of several standing ovations. 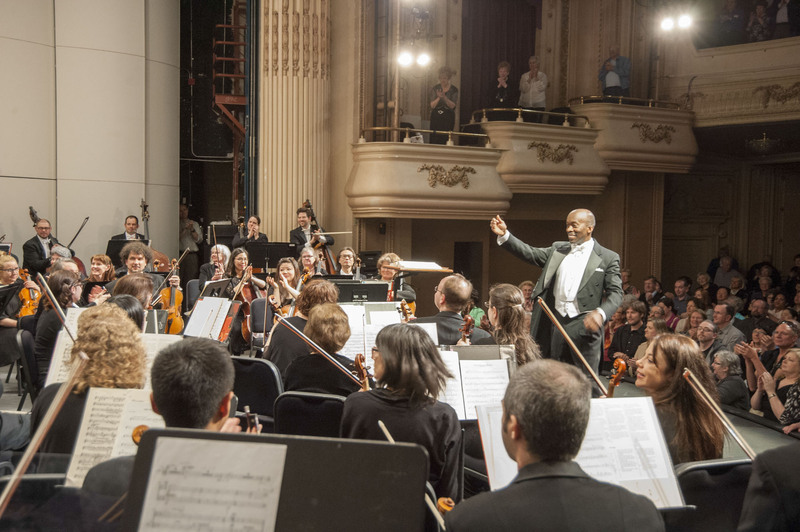 Maestro Felder gives thanks to his orchestra. 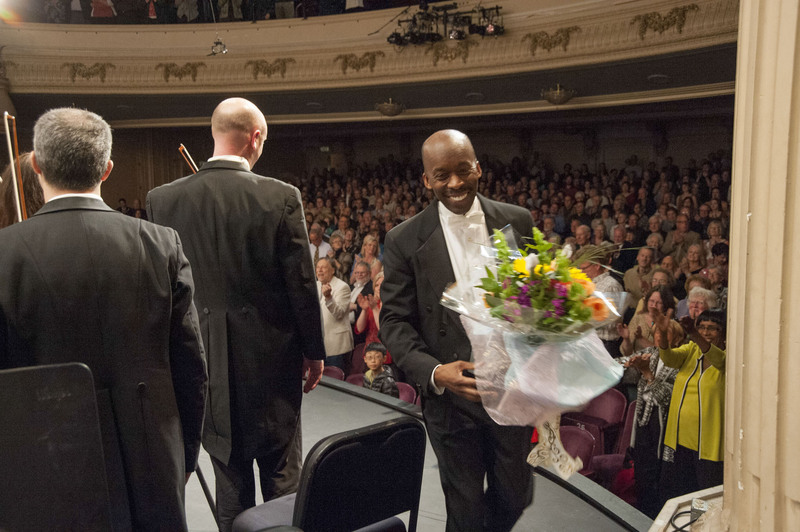 Maestro Felder exits with flowers during standing ovation. Encore performance, leading the orchestra and audience playing and singing ‘Auld Lang Syne’. 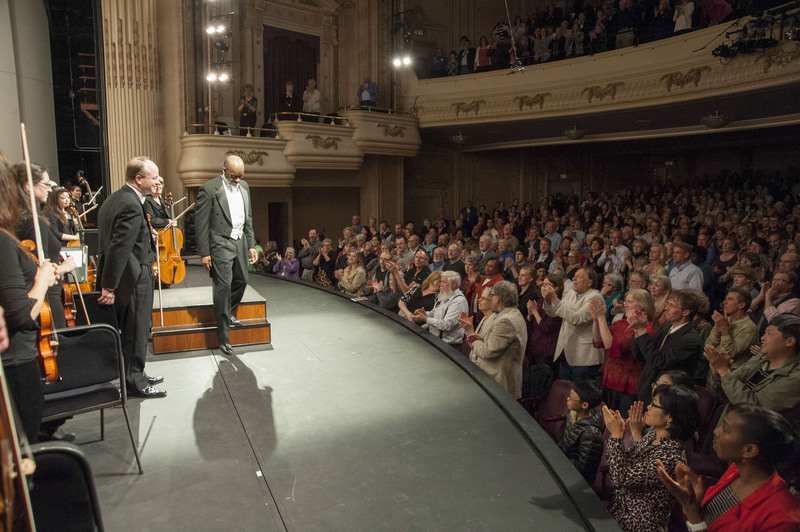 Final standing ovation and exiting stage by Maestro Felder and Concert Master Svend Ronning. All photos used with permission from Dane Gregory Meyer. Copyright Dane Gregory Meyer. 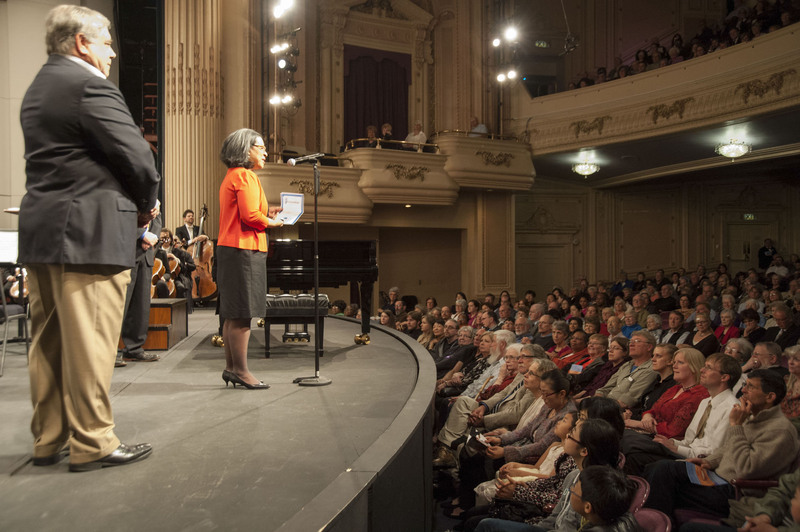 The Tacoma Arts Commission is proud to support the Tacoma Symphony Orchestra through the Arts Anchor Fund. 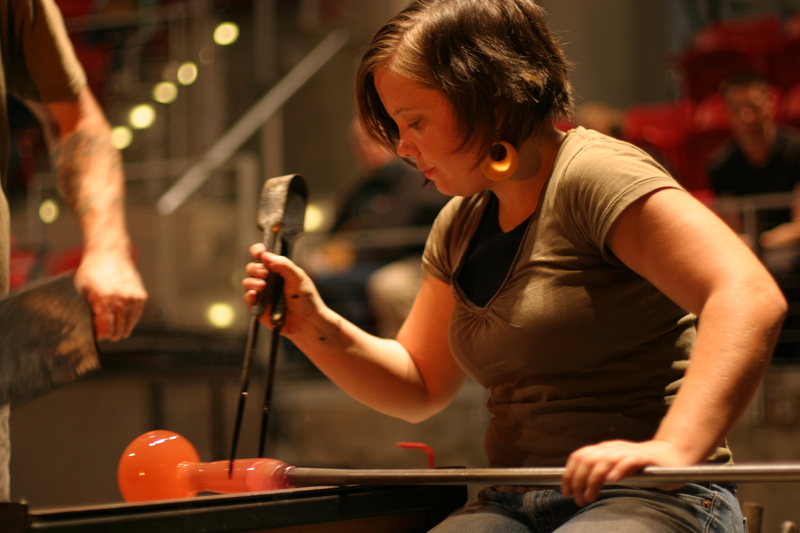 Sarah Gilbert in the Museum of Glass hot shop. Photo provided by artist. What do Rochester, NY and Tacoma, WA have in common? 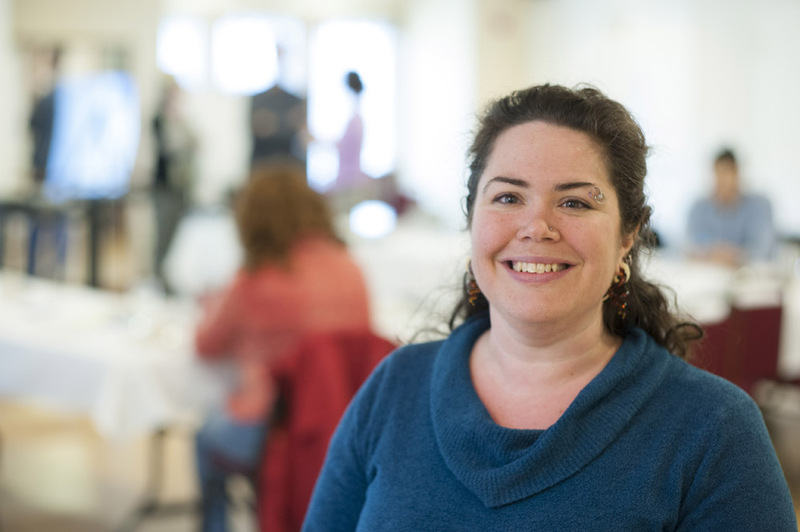 Sarah Gilbert has called both places home, and wants to show local citizens what she finds fascinatingly similar about these two gritty cities. It started out as an interest in historical figures that the cities have in common, but grew into a much more personal project. She is interviewing friends and family about their idea of ‘home’ to help develop her new series. Gilbert is a glassblower and engraver, using her glass as a canvas to illustrate narratives about family in Rochester and friends from Tacoma. Her new series uses a process similar to creating cameos, where the surface is carved away to show contrasting colors below. What makes her work remarkable is not just the practical challenge of using this technique large scale, but also the narrative element. This series includes landscapes or ‘postcards’ from both cities, and portraits of over a dozen friends and family members. Come and check out some remarkable new glass work, and at the same time get a glimpse into the personal word of a bi-coastal artist. What: 3000 Miles from Home – an exhibit of cameo engraved blown glass pieces that explore the concept of ‘home’ using historic and contemporary people and places from Rochester, NY, where Gilbert was born and raised, and Tacoma, WA, where she currently lives. Where: Kittredge Gallery, University of Puget Sound, N. 15th & N. Lawrence Street. The Tacoma Arts Commission is proud to support Sarah Gilbert’s work through the Tacoma Artists Initiative Program. Artists hard at work in the Hilltop Artists hot shop at Jason Lee Middle School. Photo by Scott Ramsey. You know an event that encourages arriving an hour early to secure a ticket to be one of the first to get in may have a hard time living up to the hype. Fortunately, anyone who has been to Hilltop Artists’ Spring Glass Sale before knows this is one event where it’s good to be first in line. Believing the hype, I joined several dozen other people in line early on May 10 to secure my ticket for the 10am opening. This approach to staged entry times allows organizers to control the number of folks in the sales room at any given time. The result is a heightened sense of exclusivity for being there early, but also a manageable number of people in a room full of expensive breakable things at any given time. Held annually at Jason Lee Middle School, home of the Hilltop Artists hot shop, the Spring Sale provides glass art lovers a chance to purchase a variety of work produced by the student artists involved in this thriving program. The quality and creativity of the pieces is very high and patrons compete to purchase their favorites from several hundred on display, before they are snatched up by someone else with a faster hand or quicker eye. Work ranges from handmade glass marbles and beads selling for a few dollars each, to larger, elaborate vases, vessels, plates, and decorative items priced in the hundreds of dollars. Pieces were grouped on tables based on their color, with bright splashes of every shade imaginable to be found. I quickly laid claim to several beautiful pieces including hand-blown apple-green, and tangerine-orange vases and a quirky little rose-red bird figurine, all of which made perfect Mother’s Day gifts this year. 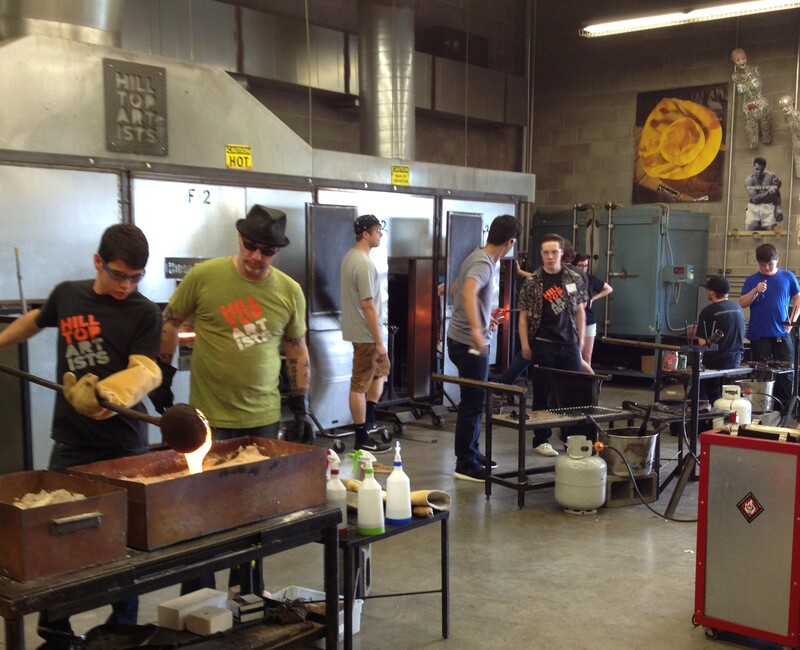 Funds generated at the Glass Sale go to support the Hilltop Artists non-profit glass arts program which was established with the help of Dale Chihuly in 1994. Through the program, over 500 students, ages 12-20 are provided with hot shop classes and individual instruction each year. Hilltop Artists serves a diverse group of youth throughout Pierce County, and is especially effective with young people who are searching for ways to connect and belong. There is also support for those who find themselves struggling academically, socially and/or behaviorally. Creating glass art requires lots of expensive equipment, like furnaces and glory holes. Right now, Hilltop Artists’ largest glory hole, a critical piece of equipment to glass blowing, is just squeaking by and will need to be replaced sooner than expected. A new glory hole will be safer for students, more energy-efficient, and allow teaching staff to focus all of their time on the students, rather than spending hours fixing broken equipment. The campaign has a goal of raising $30,000 to cover the equipment, installation and maintenance. They have currently raised $20,015. Consider donating to the campaign and you can choose from a number of perks including magnets, t-shirts, glass floats, earrings, and glass bowls and vases. More information: Find out more and contribute any amount here. 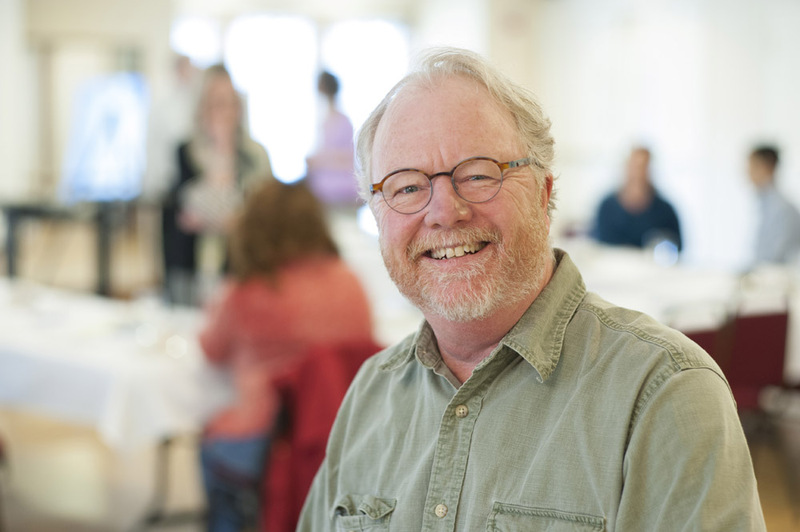 The Tacoma Arts Commission is proud to support Hilltop Artists through the Arts Anchor Fund. 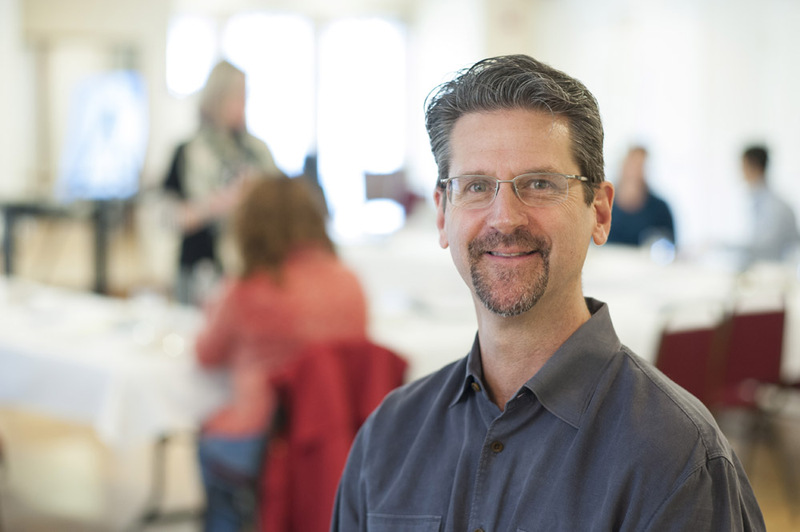 This review was written by Scott Ramsey, a Tacoma Arts Commission member since 2011. A fourth generation Tacoman, Scott lives and works locally and has been diligently defending the Arts for decades. His dry sense of humor is often misconstrued as bitterness and sarcasm, but he insists he’s “just kidding”. 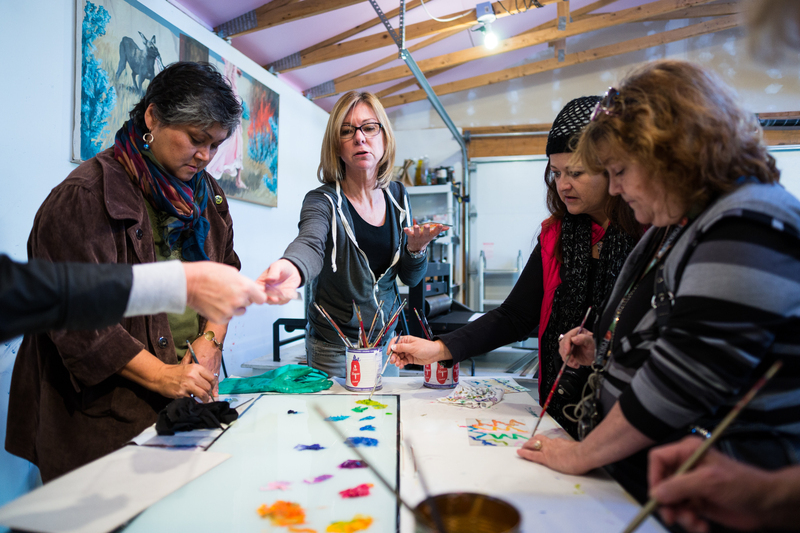 Dorothy McCuistion guides a printing demonstration with studio visitors during the Tacoma Studio Tour. Are you a professional artist that lives in Tacoma and/or has a working studio in Tacoma? Do you want to open your studio to the public, demonstrate how you make your work, host a hands-on activity, and help raise the visibility of the arts in Tacoma? Apply to participate in our 13th annual Tacoma Studio Tour! The Tacoma Arts Commission is seeking professional artists who are willing to open their studios to the public for the Tacoma Studio Tour, one of the features of Tacoma Arts Month this October. 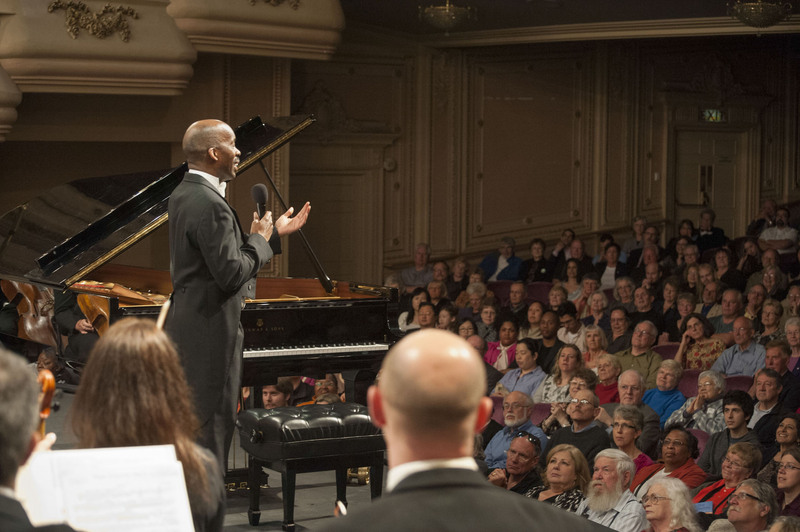 The emphasis of this tour is on raising visibility of the arts and providing artistic opportunities for the community to connect to the arts. While we encourage artists to have work for sale, the intention is not primarily as a studio sale. Studios will be open on Saturday, October 11th and Sunday, October 12th from 11 am to 5 pm. 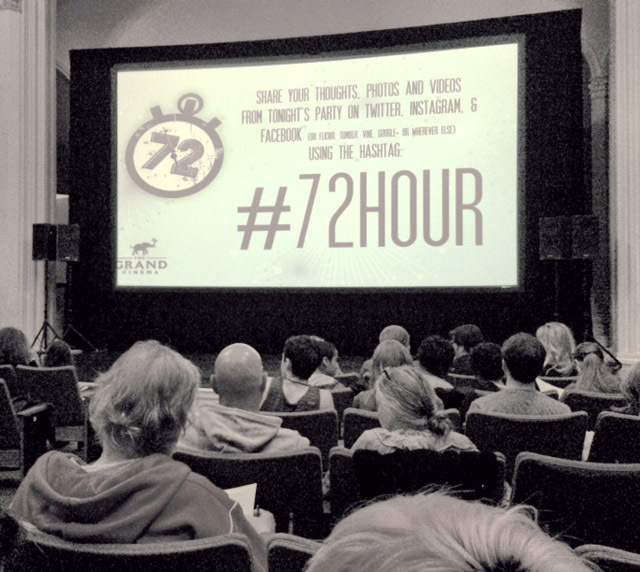 Artists can choose to be open on Saturday, Sunday, or both days. The Tacoma Arts Commission will produce extensive electronic publicity materials including email newsletters, blog posts, and an interactive website and map. We will also produce a printed brochure for the Tacoma Studio Tour. The studio tour is free to both the artists and visitors. 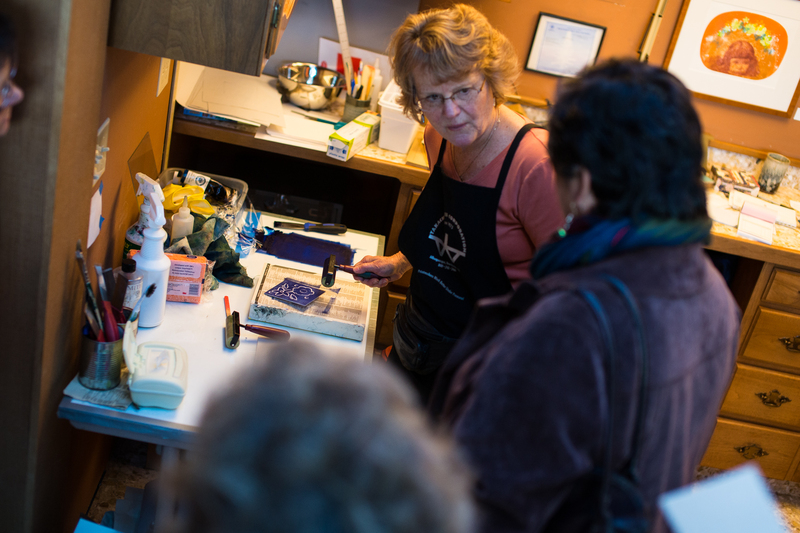 Marit Berg gives a monoprinting demonstration during the Tacoma Studio Tour. Deadline for applications is Wednesday, June 11, 2014, midnight. Applicants will be juried in a competitive process by a sub-committee of the Tacoma Arts Commission and selected based on the quality of artwork and the overall diversity of the work presented, as well as geographic diversity of the studios. Go to www.surveymonkey.com/s/StudioTour14 and fill out the online application form. Crafts of the Past will take you back to the 19th century through the handiwork of local artisans. Photo by Dane Gregory Meyer. 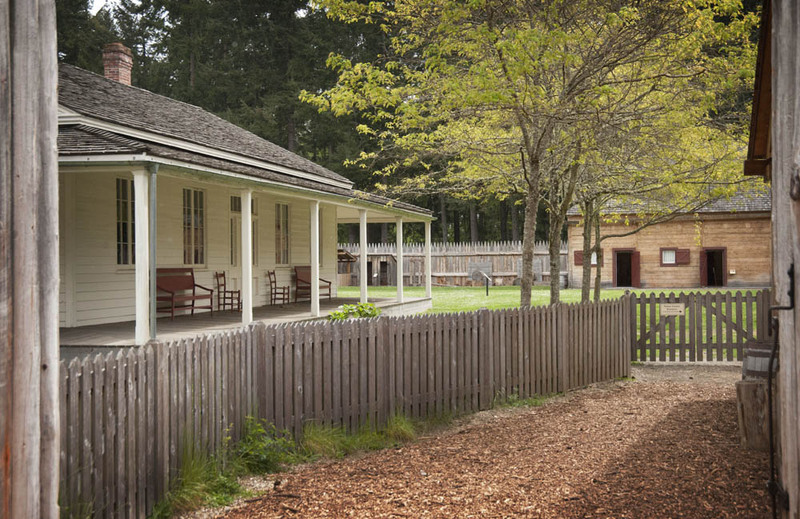 Fort Nisqually is offering a fascinating season-long series called ‘Crafts from the Past’. 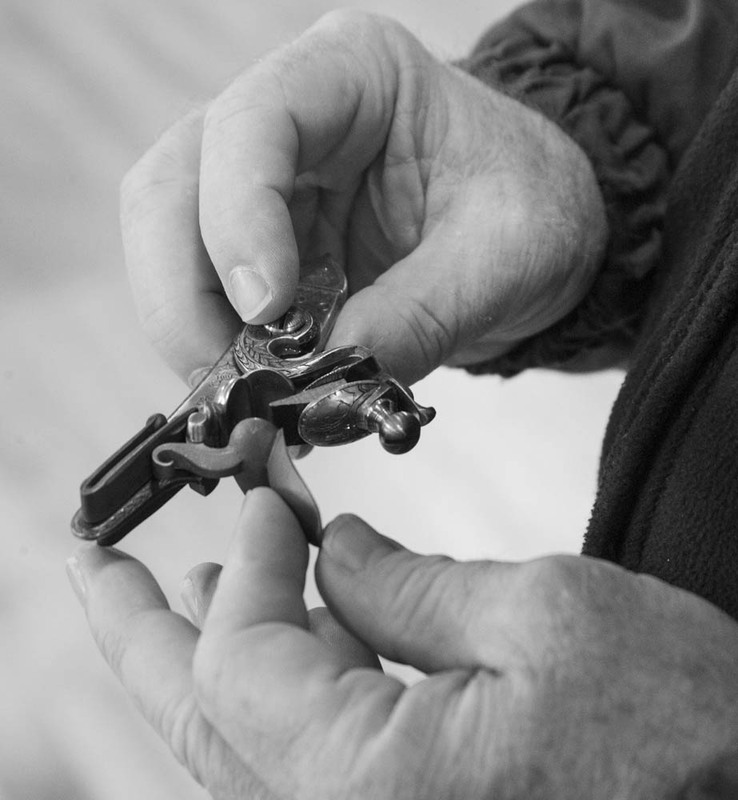 Each weekend until the end of September the Fort Nisqually Living History Museum presents artisans from diverse skill sets who will show you how pioneers made things. The setting puts you back in time and the period costumes of artisans further sets the feeling that you have stepped back into days long past. 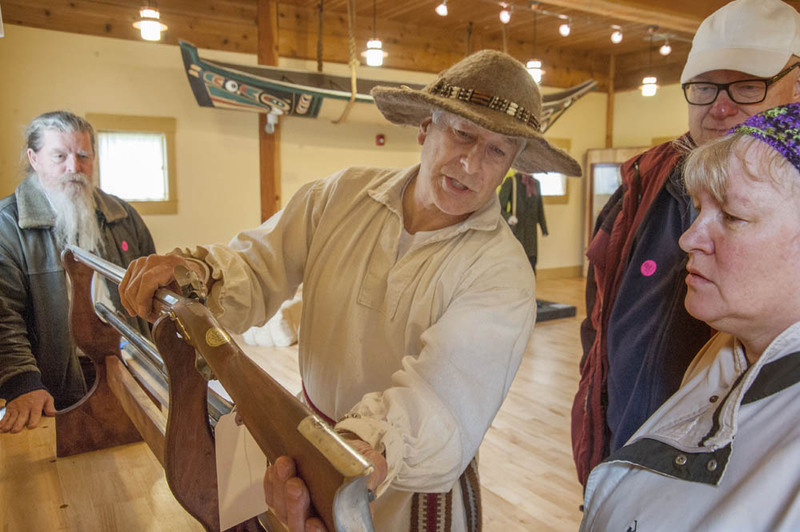 Fort Nisqually invites visitors to step back in time. Photo by Dane Gregory Meyer. The minute I stepped out of my car at Ft. Nisqually, on the bluff above the Narrows Passage, there were eagles chattering in their hollow shrill stutter. A raven bellowed in a deep clatter nearby. Inside the fort was a world only imagined from seeing movies or reading stories. There, artisans were demonstrating handiwork from the 1800s such as iron forging. But my purpose was to see the current week’s Crafts of the Past presentation, a combination of gun smithing and silver inlay with artist Steve Baima. Artisans provide samples of hand-crafted work to help illustrate their process. Photo by Dane Gregory Meyer. A very enthusiastic Baima, dressed in hand-made period clothing, explained how settlers, during the agrarian culture of the 1700s, would spend their winters creating such things as rifles, to be sold later. As competition grew so did the artistry of the pieces. Examples were ready on hand to show interested participants. Crafts of the Past is just getting started. Some of the other talents to be presented this year include: “sheep to shawl”, basket weaving, illustrating, beadwork, broom making, wood-turning, cheese making, banjo making, textile arts, bookbinding, and much more. Where: Ft. Nisqually, in Point Defiance Park, 5400 N. Pearl St.